FACT: Whether you plan your pregnancy or not, nothing can prepare you for that first positive pregnancy test. 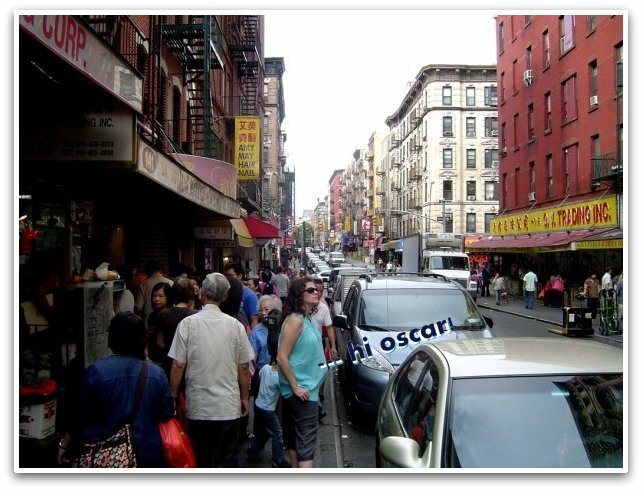 This was the day in 2008 that I found out I was pregnant with our first son, Oscar. It was my very first pregnancy and I had no idea what I was in for. We were very fortunate that it didn’t take us long to conceive and incredibly thankful that I had a healthy pregnancy, but that positive test was shocking. And thrilling. And I wanted to do it again. 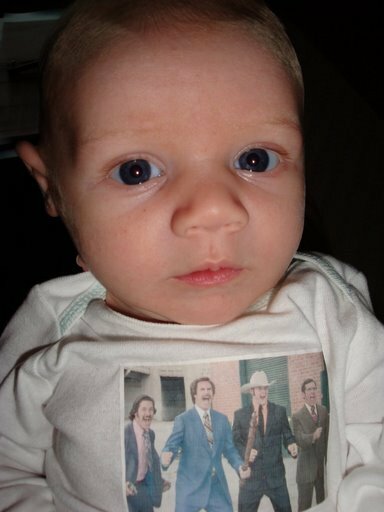 That first test changed our lives forever as the journey to parenthood began. 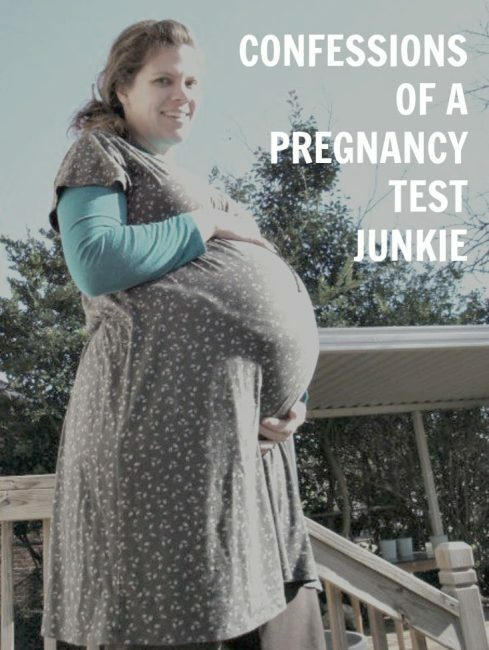 Throughout my trying-to-conceive and pregnancy periods, I was a pregnancy test junkie. Our babies were planned, so I was paying very close attention to all of the details and would test as soon as the internet said it was possible to see a positive. Of course, even if I thought I saw a faint line, I would test a few more times just to be sure. The whole process was just so amazing! Starting a family was the single-most life changing experience I’ve ever had. It seemed like I went from positive pregnancy test to bursting at the seams nearly overnight. I know I would have loved using the Clearblue Weeks Estimator. The science behind a woman’s ability to get pregnant is incredible and I admit that I wanted to know every detail I could find when it was my turn to grow a human. Even now that we are done adding to our family, I still miss taking pregnancy tests a little bit. Find out how the game-changing Weeks Estimator works here. 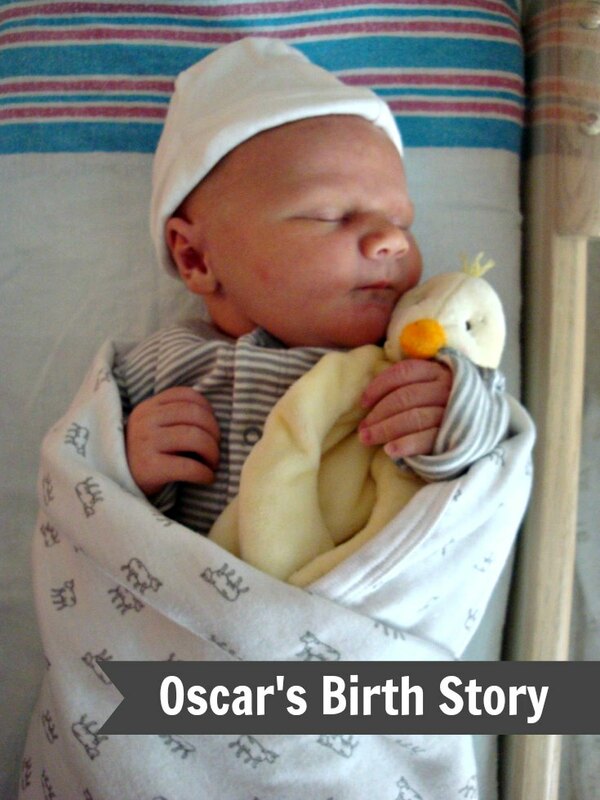 Before we knew it, our little Oscar was here and it was time to celebrate his first birthday, then his second and just this week, his sixth! 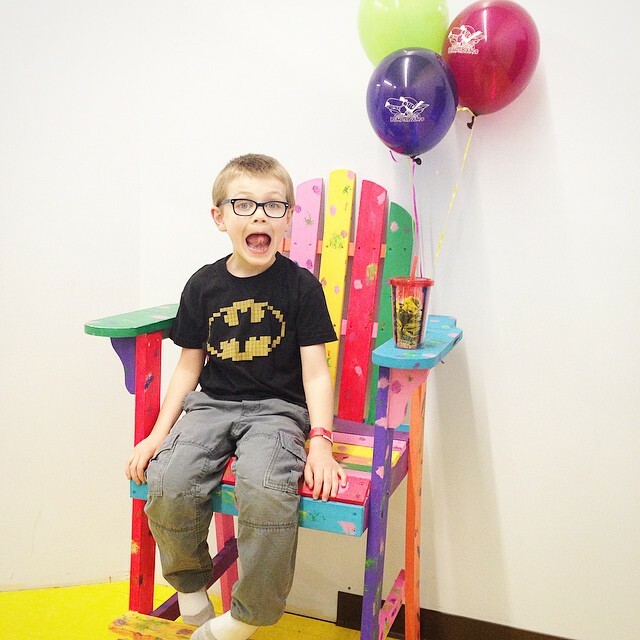 What they say about time flying by is so true, especially when children are involved. I clearly remember the day we got our positive pregnancy test. Jerry and I had both worked all day but we couldn’t stop wondering if this would be our month. We planned to wait until morning to test, but the truth is, we’ve never been known for our patience. I decided to use one of the several tests I had purchased and give it a go. We spent some time in the backyard with our dog, Krusty, as we waited minute after minute. And then we knew. We stared at each other and laughed nervously. Just like that, we were parents. 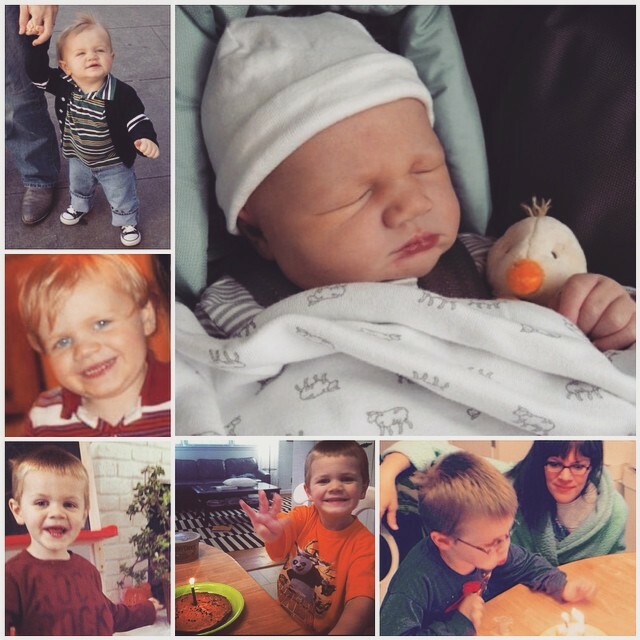 Our little Oscar is now six and with the addition of his now-3-year old brother, Calvin, our family is complete. Looking back on our journey is one of my favorite things to do. While we don’t plan to have more babies, the memories of my pregnancies will stay with me forever. Are you a compulsive pregnancy-test-taker like me? 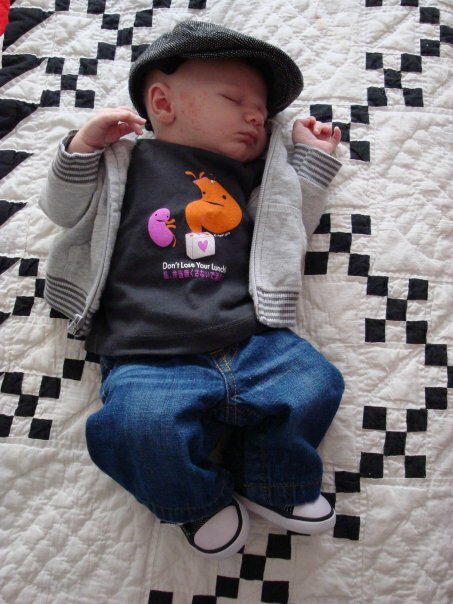 This post is sponsored in connection with the BabyCenter Blog Network and Clearblue. All opinions are my own. ***Giveaway has ended. Thanks for reading! This would actually be the first time I would use it, and so far, for what I have read, Clearblue is the best there is, so I wouldn´t really feel like trying anything else before actually going to the doctor to find out for sure. So, so far I have not taken the test, but would love to find out if I will be testing all the time until doctor assures me I am prego. Thanks for the opportunity to win. I am so excited! Even after a doctor told me I was pregnant, I took a test once a week so a month. We’ve been trying to conceive for over a year now. Fingers crossed that 2015 will be the year of conception for our first little one. Thanks for the great giveaway! Take more than one most months! Haha. Breastfeeding, the minipill and my obsession with pregnancy have turned me into a legit junkie. I can’t ever wait to test!! Very impatient! We are trying for baby #2 now too!! We are trying for #2 now! I’ve tested 9times in the last month. Please!!!! Pick me! I am such a pregnancy test junkie, it’s kind of ridiculous. Glad I came across this article and found out that I’m not alone. Trying for #3 now and would love to try the clearblue weeks estimator. I had a miscarriage last month, so my pregnancy test hoarding had started all over again! Would love to try this test during my POAS parties!!! When I thought I was pregnant, I literally bought 10 Clearblue tests. At least 3 being the Weeks Estimator, and it is definitely accurate. For my second child, i literally-no lie, took over 6 tests,and i still have them. Lol. The first one showed a faint line, and i tested everyday for a week, all growing a little darker. I also did the one that clearly says pregnant. 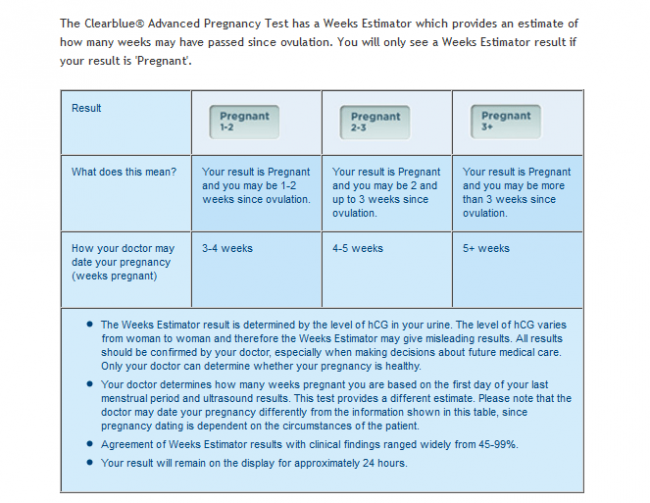 I would love to get one of the week estimator ones for my next pregnancy. We have just started trying. Crossing my fingers and toes. I’m not a compulsive pregnancy test taker, in fact, I used to avoid pregnancy tests. I thoiughr I might be unable to have children (PCOS) & every time I gave in & took a pregnancy test it was negative. But when I finally got pregnant, it was so amazing & unbelievable that I went out & got another test. I was already 11 weeks along before I even knew I was pregnant. The clear blue weeks estimator could have been nice to have then. I take them after a light period just to check. It’s bad lol. 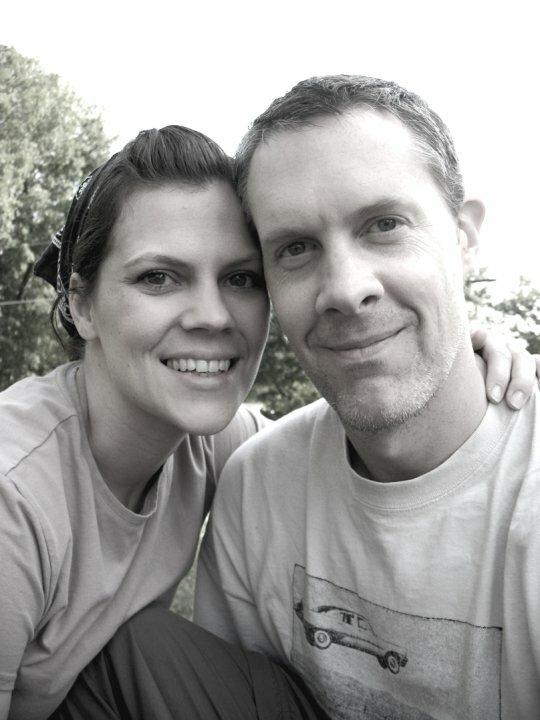 It’s embarassing how many tests I took in our first year of marriage! I’m a hpt junkie! My husband and I are now trying for #2 and I have my clearblue ovulation predictor kit ready and waiting! That 1st positive test with my son, Leo was one of the happiest moments of my life. I’m still in shock…he’s 9 months old now! Haha! I was always scared but very curious at the same time. So thrilling to watch science in action. 3 positive tests, one cute little boy (now 2years old) and 2 miscarriages, but still hoping for just one more positive test and cute little baby… Fingers crossed! We are trying to get pregnant with #2 and I’ve already gone through half a dozen tests….I would love to try out the Clearblue test! I have been TTC for well over 2 years for my first child and have PCOS. In November I started my first dose of clomid at 100 mg. December I was increased to 150 mg and got a positive test that sadly ended in an early miscarriage at 5 weeks along. Although it was early, it was (is) still tough to deal with. I want so badly to see another positive test and even more so, I want that my next pregnancy be viable and bring my husband and I our first baby! I have a hpt in my purse right now, lol.